As I type this, the snow is falling, and we are in the midst of winter in Maine! It is very pretty, though, with the fields and trees covered with snow. The horses present a beautiful picture against the wintery background. Our newest addition, Colonels Stylin Oak (name pending), aka "Oakley" arrived in May 2011. She is a beautiful palomino, colored and marked much like her mother--a nice, rich rosy palomino color with a very white mane and tail. She has the sweetest disposition, and we are having a lot of fun "playing" with her, as she is very smart and learns quickly. She has the breeding to make someone a great performance horse! Frank and I both had a great year with USTPA in 2011. I managed to end up in the Top 10 for Region 8, USTPA, in the 3 sort, and fourth in the 3 draw penning at the USTPA World Championships. 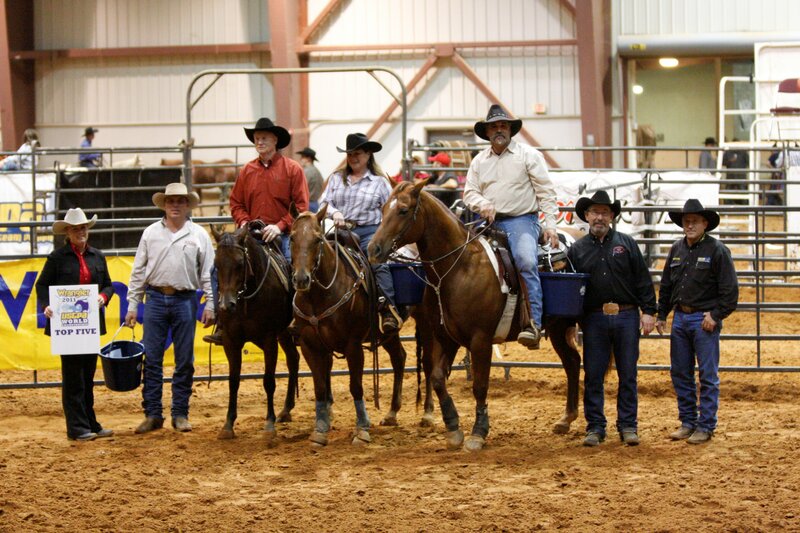 Check out some of the action shots on our "Team Penning" page. My little mare, Pretty Nu Skyline, also known as Snake (or Zoom Zoom to the cutting world), takes such good care of me, and every ride with her just seems to get better and better! I have had to work extra-hard learning how to ride this quick, cowy gal, and have totally fallen in love with her. Sherrye Johnson-Trafton, who works hard with me and Snake, says Snake and I have a true bond. I would agree with that. She has taken me to another level in penning/sorting and has built my confidence and horsemanship skills needed to ride a horse of this caliber. Frank's mare, Joys Hickory, is currently on maternity leave. She is carrying a foal by Smart Sugar Badger! This is a baby we are anxious to see. Her pregnancy was confirmed a few weeks before our first competition--so a search for another horse began. One phone call to our friend, Chris Wonderley, and we were set. Enter Olenas Dually CD, (also known as Tink), a retired cutter who is making his name known in the penning/sorting world. 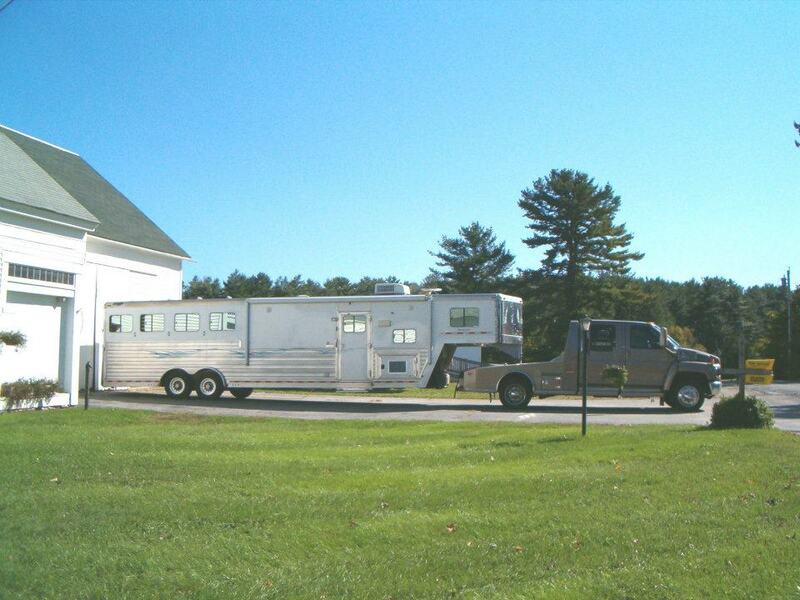 Check him out on "Our Horses" and the "Team Penning" pages. He and Frank make quite the pair, and have done well this past season! Tink has brought Frank to another level, as well, and Frank is looking forward to this coming season with Tink. 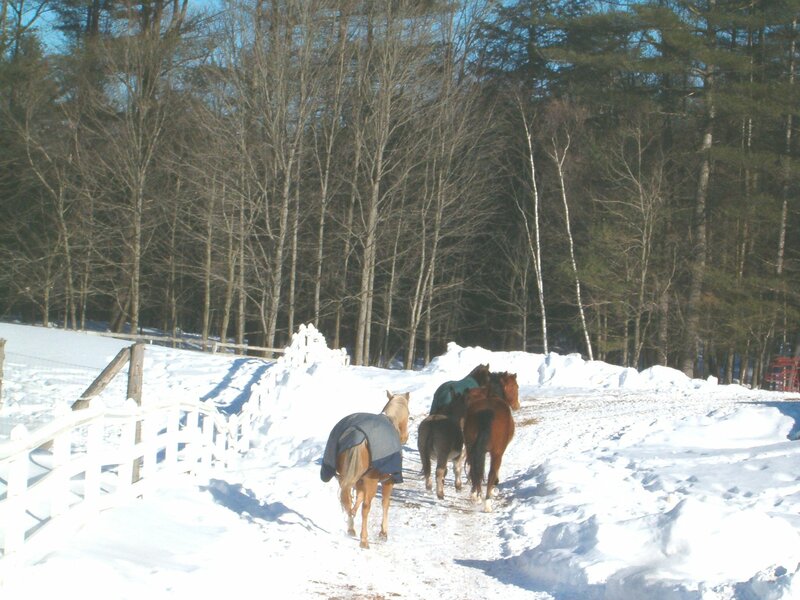 During the winter we hold RANCH SORTING PRACTICES here. We welcome people of all levels--from those who have never done it before to the more experienced! Generally we have them on the weekends. Just contact us if you are interested, and we will be sure to let you know what's going on! 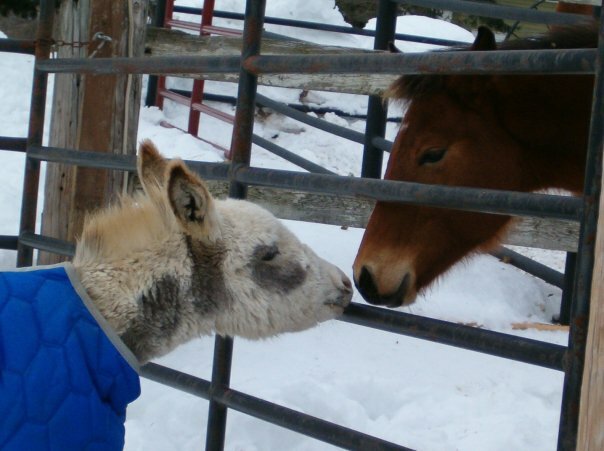 We will have two foals born in March 2012. As mentioned above, Joy is bred to Smart Sugar Badger. Be sure to watch for photos of this foal..we are excited over this cross! My "first penning horse" and our first horse born on this farm, Qd To Rap (aka Missy Q), is in foal to our Paint stallion, Color By Texas. I have always said Missy Q, who is a registered quarter horse, always wanted to be a Paint with her big blaze and tall stockings. Now we'll have the opportunity to see if she will produce a highly colored one! We will be sure to post information and photos of the new arrivals! If you are one of my face book friends, then you know all about my Christmas present from Frank--C.W. the miniature spotted jackass! His photo is here on the website. This little guy keeps me amused with his antics, and keeps our face book friends entertained, as well, with his exploits as a circus trainer, mini crime fighter, horse trainer, reiner, babysitter....and many more talents. People ask me why I have donkeys....very simple: "They Make Me Smile!" Breeding season is coming upon us, and both Fritz and Texas hope to meet some new girls! Of course their former girlfriends are welcomed back! Be sure to check out their pages and contact me for more information and to discuss what we can do to help you get a quality foal by these two stallions. We are offering various breeding deals, and are always willing to talk private consignments. That's about it for now! Feel free to come for a visit, and check out the rest of the web pages. My webmaster, Hiliary Holbrook, will be working hard to keep us current!